Things to Do/See: Sri Veeramakaliamman Temple. Little India’s busiest and oldest temple, dating back to 1881 — although the present structure was completed in 1986. The temple is particularly busy on Tuesdays, Fridays and Sundays. Be sure to take your shoes off before venturing inside. Free. Mustafa Centre, Singapore’s supreme discount department store: floor after floor of absolutely everything at rock-bottom prices, ranging from Rolex watches and washing machines to fresh mangoes, bags of lentils, tailored suits and airline tickets. Open 24 hours; the exchange counters in front are probably the best place in Singapore to exchange any currency you can think of (and many you can’t) at competitive rates. Mustafa Centre also offers travel, hotel reservation and visa assistance services. Note: There are now many mini-Mustafa outlets scattered along Serangoon Rd, but the original and by far the largest is the one facing Syed Alwi Rd. Directions: Take the train from Orchard MRT and travel in the direction of Marina Bay. Alight at Dhoby Ghaut station and transfer to the purple line. Travel towards Punggol and alight at Little India or Farrer Road station. Singapore’s Chinatown is the traditional Chinese quarters of town, and while the entire city is largely Chinese these days the area does retain some of its own charm. The area is also known as Niu Che Shui in Chinese and Kreta Ayer in Malay, both names meaning “bullock cart water”, a reference to the carts that used to haul in drinking water. 2:00pm to 3:30pm, 6:30pm to 8:00pm). On the roof is the 10,000 Buddhas Pagoda, hosting a large Tibetan-style prayer wheel. Opening hours: 7:00am to 7:00pm. Admission is free. Chinatown Heritage Centre. An excellent museum chronicling how Chinatown came to be and the privation suffered by early migrants. The centre is on the left if you walk straight from the Pagoda St exit of Chinatown MRT station. Opening hours: 9:00am to 8:00pm. Admission fee is $10.00. Sri Mariamman Temple. Singapore’s oldest and most important Hindu temple and worth a visit for the intricately carved gopuram (statuary above the entrance), which gave adjacent “Pagoda Street” its name. This is an active temple, so take off your shoes and don’t disturb the worshippers. The Thimithi fire-walking festival is held here one week before Deepavali. Free, but photo/video permit $3/6. Thian Hock Keng Temple. The oldest Hokkien temple in Singapore, dating back to 1821, although the structure was thoroughly refurbished in 2000. The brightly colored, elaborate facade was constructed with ironwork from Scotland, tiles from England and the Netherlands, and dragon-ornamented granite pillars from China. Admission is free. ​Take the train from Orchard Road MRT and travel in the direction of Marina Bay. Alight at Dhoby Ghaut station and transfer to the purple line. Travel towards Harbourfront and alight at Chinatown or Outram Park Station. Bugis and Kampong Glam are districts of Singapore, just to the east of the city center. Bugis has a colorful past. Originally named after the bloodthirsty race of pirates who prowled in the Straits before the arrival of the British, the area where Bugis Junction now stands was the original home of Singapore’s small Hainanese community, famous for their large contribution to Singapore’s culinary culture. Neighboring Kampong Glam, also known by the name of its main thoroughfare Arab Street, was where Singapore’s Arab traders settled in the founding days of the colony, and was also the part of town allocated to the Malays when Raffles drew up his town plan. But here too, the original inhabitants fled in the 1920s as real-estate prices drove through the roof, and today the heart of Muslim Singapore beats in Geylang Serai on the East Coast. Things to do/see: The best thing to do around Kampong Glam is to actually walk along the streets and shophouses and soak in the culture. There are huge variety of exotic goods to browse at, especially along Arab Street and Haji Lane. Directions: Take the train and alight at Bugis Station. Bugis/Arab Street area is a 5 – 15min walk from the station. ​1993 and March 2006, it was known as the Singapore History Museum, before reverting back to its previous name. The 150-year old Singapore Botanic Gardens is a star visitor attraction for the sophisticated traveler as well as the local resident. This Garden possesses an array of botanical and horticultural attractions with a rich history and a wonderful plant collection of worldwide significance. Complementing these unique resources are sensitive developments providing visitors educational and recreational facilities. This huge and beautiful park is voted no. 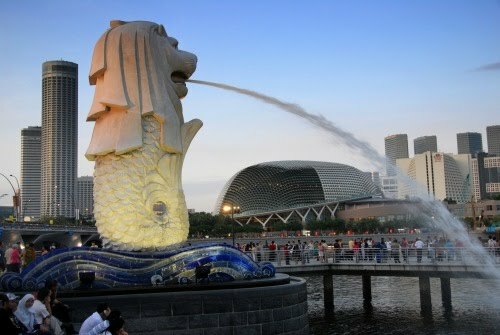 1 in Singapore’s main attractions by Tripadvisor. Be prepared to walk! Night Safari, the world’s first wildlife park for nocturnal animals is an nine-time winner of the Best Visitor Attraction Experience, awarded by Singapore Tourism Board. This internationally acclaimed leisure attraction embodies innovation and creativity in products and services, and service quality, thus attracting more than 1.1 million visitors yearly. Over 1,000 animals from 115 species (of which almost 30% are threatened) inhabit the 40-hectare park. In line with its mission to promote biodiversity, the park focuses on the captive breeding of threatened species. Over the years, it has bred Malayan tigers, Asian elephants, fishing cats, red dholes, anoas, markhors, bantengs, Malayan tapirs and Asian lions, among other endangered species. A visitor’s experience at Night Safari is not limited to animals but extends to experiential dining segments with the park’s award winning Gourmet Safari Experience, where visitors dine on-board a tram traversing the eight geographical zones. ​The park can be explored either on foot via three walking trails, or by tram. Night Safari is part of Wildlife Reserves Singapore and is a designated wildlife rescue centre by the governing authority. Boat Quay and Clarke Quay is a historical riverside quay in Singapore, located within the Singapore River Planning Area. The quay is situated upstream from the mouth of the Singapore River. Boat & Clarke Quay are home to Singapore’s more interesting night scene. No trip is complete without walking down the lively streets, filled with rows and rows of amazing restaurants or take a ride along the Singapore River with one of the many river taxis operating at the site. Directions: Fastest way is by MRT. Take the train from Orchard Road MRT and travel in the direction of Marina Bay. Alight at Dhoby Ghaut station and transfer to the purple line. Travel towards Harbourfront and alight at Clarke Quay station. Orchard Road is the retail and entertainment hub of the city-state. It is regularly frequented by the local population as well as being a major tourist attraction. Orchard Road is a oneway street. It starts at the junction with Orange Grove Road which is the location of the Orchard Hotel. It then stretches southeast across the Scotts Road/Paterson Hill junction, Orchard MRT Station, Bideford Road, Somerset MRT Station, Central Expressway, Dhoby Ghaut MRT Station, and ends at the junction with Handy Road (just before Prinsep Street), where it becomes Bras Basah Road. It has an extensive underground infrastructure, including underground pedestrian walkways between the malls running underneath the street and also other streets in the vicinity. The numbers actually begin at Handy Road and end at Orange Grove Road. Orchard Road underwent a $40 million revamp in 2009, with the addition of new street lamps, planter boxes, urban green rooms, street tiling, and flower totem poles. Orchard Road is the place to be if you enjoy shopping. Directions: Take the MRT (Red Line) and alight at Orchard or Somerset Station. Your Familiar Stranger - A non-profit organization founded by a group of young Singaporeans in line with the celebration of Singapore's Golden Jubilee, providing free authentic tours of places around Singapore.